Axis-Seven was established in 2006 by a trio of motion picture and commercial gaffers, camera assistants and pyrotechicians. Since then it has grown to become the largest provider of grip and Special Effects equipment in the Luxembourg Area. 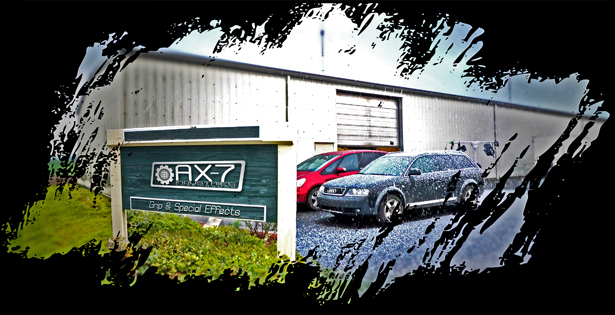 As the production market has swelled in the small country, AX-7 has expanded to fill those needs, keeping up with the latest trends and technologies in the film industry. Our rental division offers everything a key grip professional could need including a wide selection of grip gear, remote heads, camera mounting and moving systems, expendables, pyrotechnics, and special effects machines. We also offer a wide range of accessories, and enough track to achieve the most challenging and creative camera moves. Our in house store carries a large selection of expendables that any job may require. Whether you opt for the speed and convenience of our 3,5 ton Iveco Van, we can tailor a grip package to fit the individual needs of any sized production. Equipment, expendables, whatever you need, we can provide at highly competitive pricing, with top notch local service. Copyright © 2011-2016 Axis-Seven All Rights Reserved.